Kenneth Backgård is our Senior Advisor / Project Manager in Sweden. Kenneth’s experiences extend 20 years with projects in Sweden, Finland, Norway and in India. He has been managing his own consultancy company since 2008. He has a Master of science degree in Mechanical engineering from University of Technology in Lulea, Sweden. Kenneth is a member of the Advisory team for BixReal Corporation, in the Real Estate Blockchain industry. Associate advisor for BIX system corporation, also involved in new start-ups in the blockchain business. Ken is also involved with work for new constructions of Datacenters in Sweden. 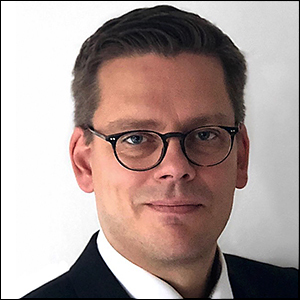 He has a good business network and connections within the Scandinavian mining industry, and he attends mining conferences, family office summits and blockchain conferences and events regularly. He has worked in the owner’s project management organization as consultant in some of the biggest industrial investments in Sweden. Ken’s been a specialist advisory on Project implementation, advisor of layout and construction of mining process plants. Senior Mechanical Engineer and Chief Engineer in the owners engineer team in greenfield mining EPC mega projects, from first designs until commissioning and start-up of the projects. Ken has handled a lot of multidiscipline coordination during the construction of these mega industrial plants and other heavy industry projects. Senior Mechanical engineering work and responsible for the overall implementation of the layout and process improvement of the plant design. He has experiences from working as a project manager for mining operations in projects in India where he handled a lot of different activities, and also had a great part of selling the total project including assets (equipment and more), Ken have since then also a good business network and connections in Delhi, Mumbai, Rajasthan in India. Within his consultancy company Backgard Resources AB he has the possibility to use global resources from the company’s network of skilled professionals, Kenneth have experience as site manager from mining projects in Sweden and Finland. He has experiences as consultant in heavy industry like Mining and Metals industry and also from the Oil and gas business. He has a certificate from RISE / Swedac in Sweden as certified grade K for control work of building projects in Sweden. Experiences include work as Senior Mechanical Engineering, Project Management, Mechanical Discipline lead, 3D Animations of Technology Processes, Responsible for Piping and Mechanical project during Commissioning, Engineering, Mechanical Design, Plant Design, Project Advisory Services, Project Resources Consulting, Experience from Sub-sea Equipment Design used for decommissioning of offshore wells and platforms, Offshore Oil platform experience, Experienced using CAD software’s like Inventor, Pro E, I-DEAS, Catia, Solid Works, AutoCAD. Navis Works for 3D CAD Coordination.